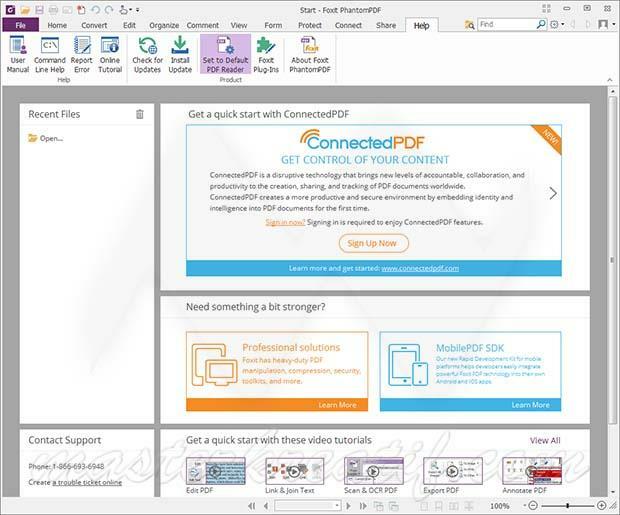 Foxit PhantomPDF is the world’s most powerful software for creating, and editing PDF files with powerful security and advanced editing capabilities. It has everything you need for working with PDFs, from standard editing functions to advanced functions such as: sharing, security, and bates numbering. PhantomPDF is a robust PDF solution that offers a full-featured, security, deployability, and other advanced support with qualified quality. Foxit PhantomPDF Business is not only a PDF reader, creator and editor, but also has conversion and OCR functionality. It allows you to easily create PDFs from Word, Excel, Plain Text, HTML, PowerPoint, as well as creating editable document from graphic, image and Scanner. Creating PDFs from text, office, html, images, etc. Bookmarking, full screen navigation, and much more. New advanced plug-ins functionality, and many more. what is mean by “Merge the provided reg file (Double click > Yes)” i couldn’t understand this step..already install & open up the software but still got trial duration. edit text and edit object menu not loaded??? any help?? try to relaunch the program or launch using admin rights! The link isn’t working…. Please help. Do I have to block with firewall, then? pas di klik patch kok malah “patch not found” ya bang? Hi guys, I was wondering why the tab for ORGANIZE menu is missing on this version?? I did follow all your instruction carefully, but it brought me to the activation windows after the patch step. SOLVED. You need to add LicenceManager.fpi and I got it from other web. it works. try again from the start. follow the steps ONE by ONE. Run and activate Business trial … this part i fail to do it… anyway to reset the expiration date ?